Hamdy is one of the Partners at Eldib Advocates and is responsible for our shipping department. He has been practicing as a lawyer since 1976 dealing with matters related to the shipping industry. He worked at a major insurance company, Misr Insurance, before moving to Eldib Advocates in 1989. His extensive experience covers all aspects of Shipping Law, including Marine Insurance, Shipping and Transport Litigation. He has in-depth experience in arbitration, court and arrest proceedings. Madkour specializes in handling disputes and claims relating to all types of bills of lading and charter-parties, as well as the custom and insurance policy disputes. He has been involved in numerous incidents in a broad range of shipping sectors including the pollution, collisions, grounding, salvage, and general average cases. He played a major role in settling the largest incidents cases in Egypt, such as the big collision case of the vessel “GANZA” with Damietta terminal in 1993, the “Baltiyskie Zori” pollution in Tiran Straights of 1994, “Royal Viking Sun” grounding case of 1996, and the biggest pollution case worldwide in 2006 “Samedon pollution in Suez Canal. Madkour has a large experience of mediation and takes a practical approach to negotiations and settlements. Madkour regularly contributes articles and legal researches in the Marine News Magazine “MARINEWS” and the Egyptian Maritime Society Magazine. His international clients include P&I clubs, ship owners, charterers, freight forwarders, and insurance companies. He is the legal counselor of the Egyptian Navigation Company. 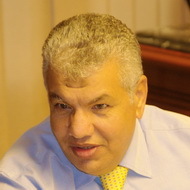 Madkour is also a member of the Board Director of the Egyptian Maritime Society.